The aim of the study was to examine the role of personality in a pregnant woman’s consumption of medications, cigarettes, and alcohol. The study included 835 pregnant women in Norway who responded to an electronic questionnaire posted on websites for pregnant women. On the questionnaire, the women reported their use of medications, cigarettes, and alcohol during pregnancy. They also filled out a personality assessment questionnaire, the Big Five Inventory. Use of medications, alcohol, and cigarettes was significantly associated with different personality traits. 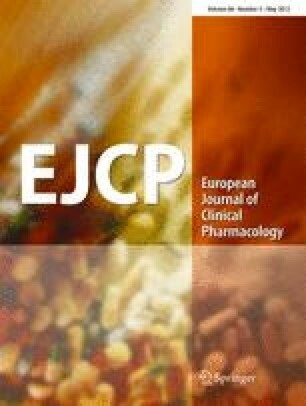 Women with high scores for conscientiousness were less likely to use an over-the-counter medication such as paracetamol than other women (odds ratio (OR) 0.74; 95% confidence interval (CI) 0.55–0.99). Women who scored high for neuroticism were four- to sixfold more likely to use prescription medications such as sedatives/anxiolytics (OR 4.07; 95% CI 1.48–11.20) or antidepressants (OR 5.73, 95% CI 2.33–14.09). Women with high scores for openness to experience were more likely to use herbal remedies (OR 1.59; 95% CI 1.00–2.52). Women who continued consuming alcohol during pregnancy were more likely to score high on extraversion and low on conscientiousness than women who quit alcohol use. Scoring high on neuroticism increased the likelihood of quitting smoking during pregnancy. This study shows that a woman’s personality traits are associated with use of medications, cigarettes, and alcohol during pregnancy. This knowledge could be of clinical importance to health care personnel providing prenatal care. The authors wish to thank the anonymous participants for graciously taking the time to fill out the questionnaire.